On Saturday, January 7, 2012 at the RB Coalition’s recognition event for its SE SeattleFreedomNet project, two Rainier Beach Unsung Heroes were awarded – Tammy Nguyen and the Rainier Beach Community Center Advisory Council. 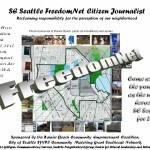 This year’s awardees and nominees were selected by the SE SeattleFreedomNet Citizen Journalist staff (www.seseattlefreedomnet.org ). The Citizen Journalists have over the last six months (July to December 2011) attended over 55 meetings and events put on by 20 neighborhood based organizations located in the Rainier Beach. From these events they developed a list of nominees, both individuals and organizations, for the RB Unsung Hero Awards. Nominees were noted for their exemplary service to families and for their commitment to improve the Rainier Beach neighborhood. This award, in its fourth year, was created to acknowledge the work of the unsung heroes of our neighborhood; those who toil just below the radar but who have been engaged in that toil for a period of time and over that time have positively impacted lives. Most will not see these deserved people or organizations names in the headlines, in fact their work will hardly have been noticed by the general public. 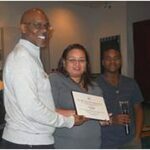 Individuals nominated for the 2011 RB Unsung Hero Awards were Tammy Nguyen of Got Green and Glenn McCray of Urban Impact. 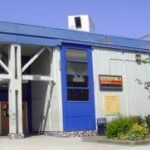 Organizations nominated were Rainier Beach Community Center Advisory Committee, Rainier Beach Neighborhood Plan Update Advisory Committee, Urban Impact, Rainier Beach Back2School Bash Organizers and Community in Schools at Rainier Beach High School. The RB Unsung Hero Awards is part of the Lift Every Voice Campaign sponsored by the Rainier Beach Community Empowerment Coalition to get Rainier Beach residents engaged in taking responsibility for the perception of their neighborhood. 2009 Winners Individuals: Pam Berry (South Seattle Community Youth Orchestra), Secret Charles (Community Coalition for Environmental Justice), Organizations/Programs: Communities Uniting Rainier Beach (POCAAN), South Seattle Crime Prevention Council; 2008 Winners Individuals: Dawn Blanch (RB 2014 Plan), Barbara Moore (Principal South Lake High School), Organizations/Programs: Southeast Effective Development (SEED), African American Reach and Teach Health (AARTH), Urban Impact; 2007 Winners Individuals: Young Pham (Rainier Beach Community Center Computer Center), Montez Patterson (Union Gospel Mission), Betty Patu (Rainier Beach High School), Tamsen Spangler (ASC Rainier Beach Family Center), Organizations/Programs: Rainier Beach Community Center Advisory Council, Atlantic Street Center, ACORN, Rainier Beach Family Center Grandparents and Kinship in Action. For more information about the RB Awards go to www.rbcoalition.org. 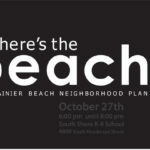 NextRainier Beach Community Center Construction Underway but…..
Atlantic Street Center: Building Bridges to the Future!